Understanding Lease Options - Part 1. Understanding Lease Options – Part 1.
Credit problems plague many people especially in today’s economy. These problems can lead to difficulty purchasing vehicles, getting a job, purchasing or renting a home or even something like opening a checking account. At times, things such as these that we often take for granted can seem like insurmountable problems for someone living the nightmare of poor credit. Often a sense of hopelessness creeps in. The simple truth is that it takes time to recover from a bankruptcy, foreclosure or other major financial problem. The good news is that there are many savvy real estate investors around that are willing to take a risk on those that have credit problems but are attempting to get their lives back in order. While they may not qualify for a traditional mortgage or even meet the credit requirements to rent a home or apartment, they may be able to purchase a home with a lease option. They may find themselves paying a little more, but it is can be an excellent opportunity to re-establish their credit. For real estate investors who are interested in “buy and hold” strategies, this is one way of building their portfolio while helping folks that have found themselves in a tough situation. 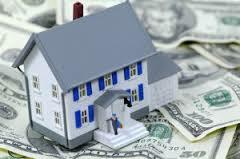 It’s true that in many cases your money will be needed to make repairs. Although, some experienced investors will write it into the lease that the tenant occupants will pay for small repairs under $150.00-$250.00. They believe that the tenants will start to think like a homeowner and will take better care of the property not to mention that it is just a nuisance to run out to fix a leaky faucet. There are two parts to a lease option. The first part is the lease. This is typically the lease used for any rental property. The second form is the “option form” that gives the person leasing the property “the option” to buy it at a later date for a specified amount of money. We will discuss lease options further in the next article. ← Does Staging Really Help Sell Your Home? Hello from Louisville, KY! Thanks for stopping by my blog. I have been investing in real estate since 1998, and I am passionate about real estate investing, and helping others become successful real estate investors. Come along on my journey to financial freedom as I grow my business and strive to lead a joyful, stress free life. Probate: Is there a Perfect Direct Mail Piece? Louisville Gals Real Estate Blog is proudly powered by WordPress. WordPress Themes X2 developed by ThemeKraft.